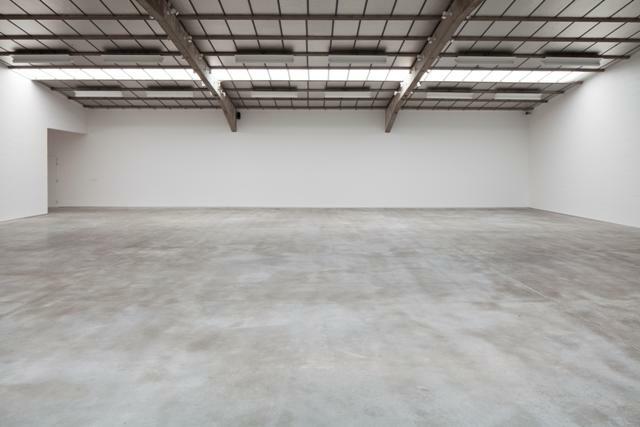 Until 2006, both Deweer Gallery and the Deweer family’s carpet factory were housed in the same industrial building complex, which consisted of several halls and an office block. 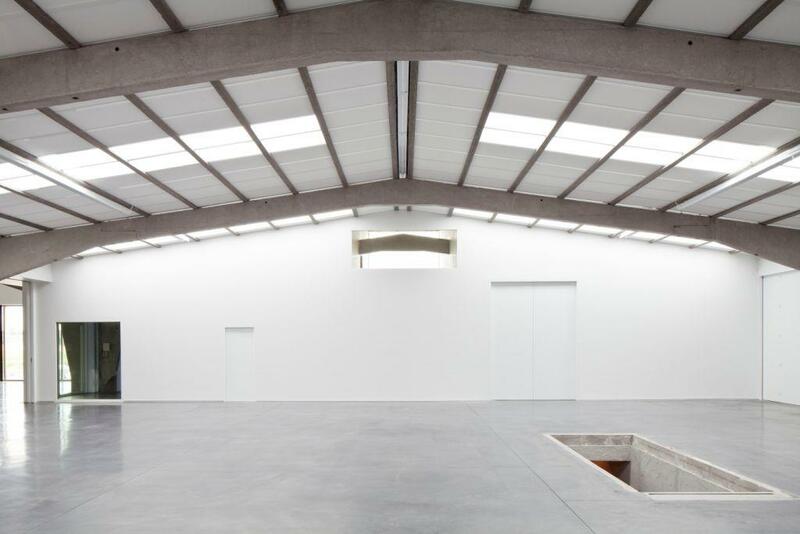 By the time the factory was closed, the gallery had already taken over most of the complex. 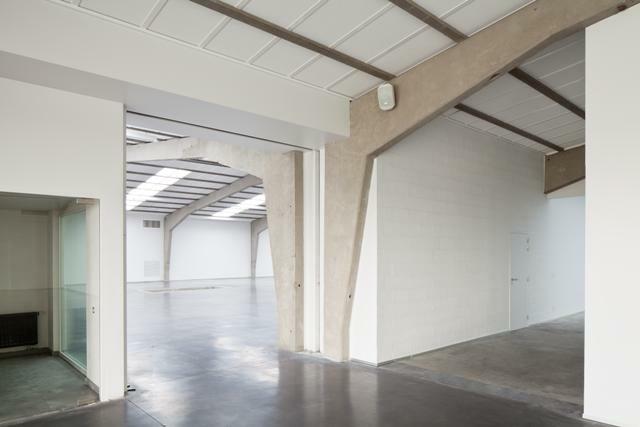 The special character of the two existing exhibition halls – one of 200sqm from the eighties (now Room III) and one of 300sqm from the nineties (now Room II) – were deliberately left unaltered. 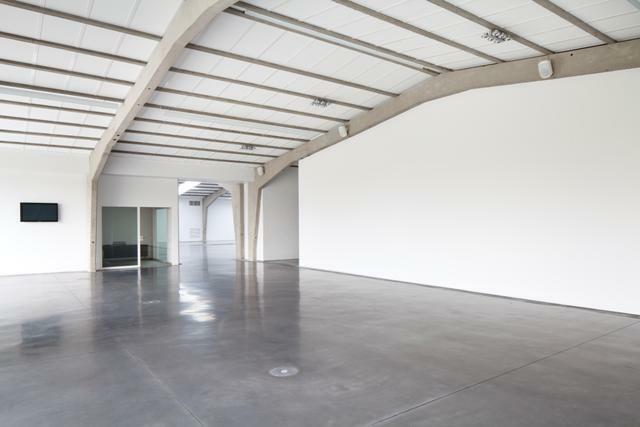 a 200sqm lobby, an extra exhibition hall of 500sqm (Room I), a studio, a kitchen, an archive, a terrace and several technical facilities. 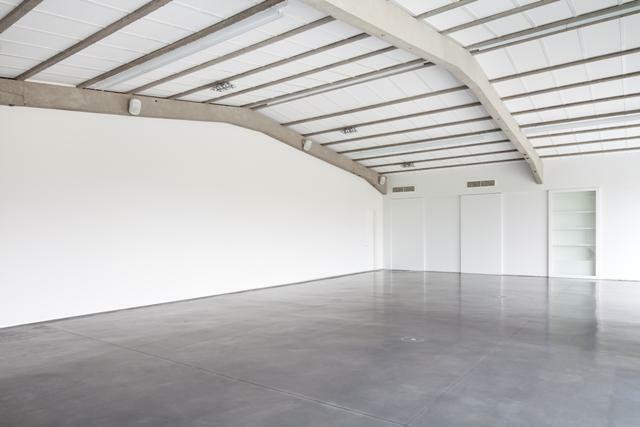 In short, the gallery will offer all thinkable spatial possibilities, and every kind of work will be shown in perfect conditions. 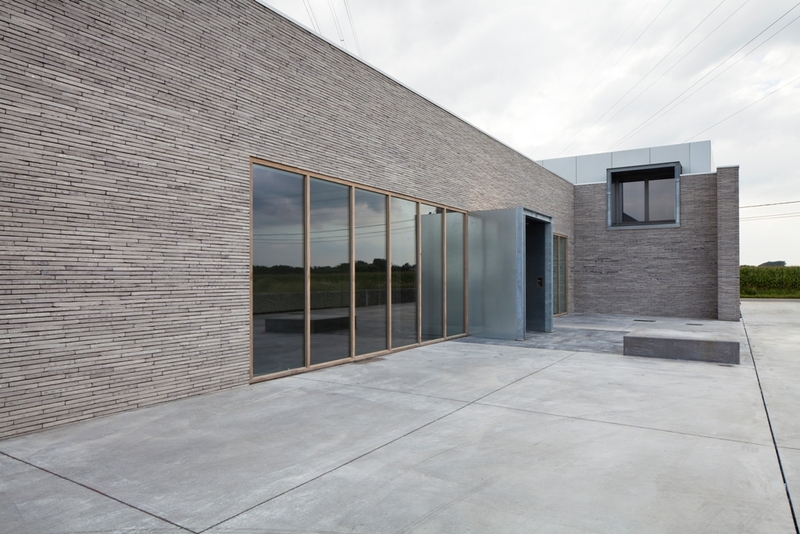 One other spatial aspect which has been fundamental for the Deweer Gallery’s architectural development, is its unique setting amidst a typical Flemish landscape. Our visitors travel through the countryside in order to get here, and consequently they take their time to see the shows. 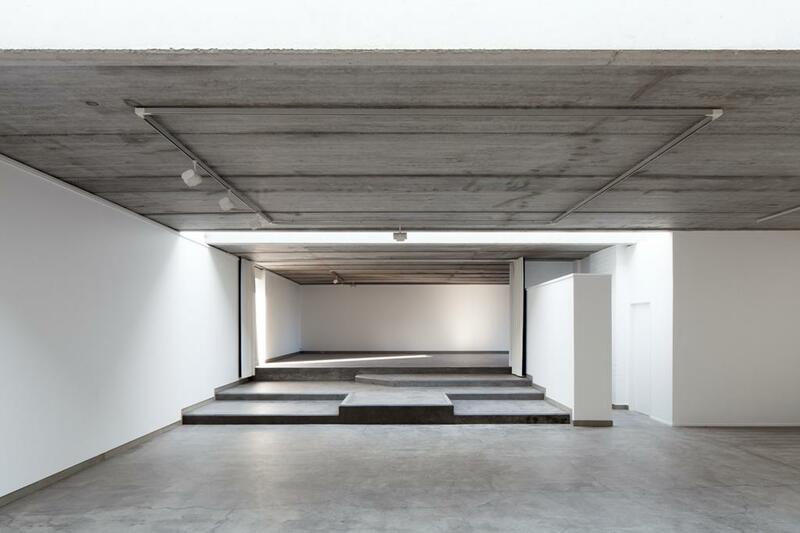 At the new Deweer Gallery, they are welcomed suitably and see several shows at a time. 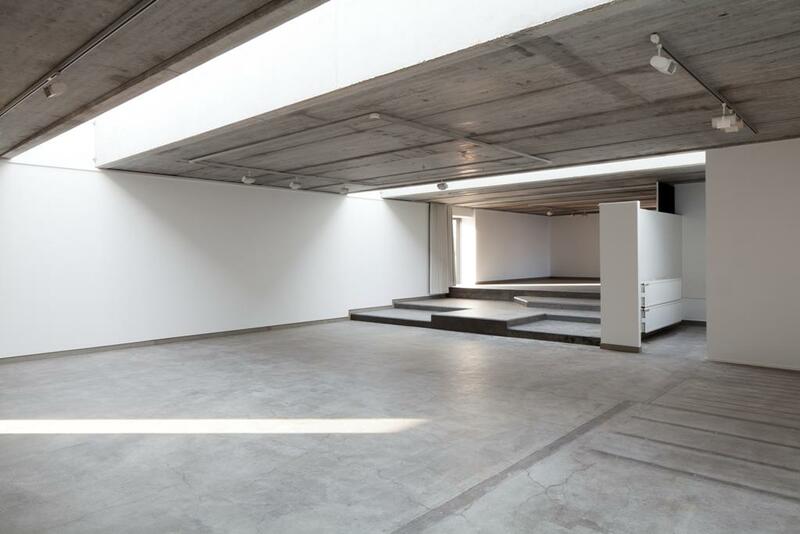 “The assignment agreed upon with the client consisted of the expansion and upgrading of the gallery, in order to create a meeting place with a better accessibility and a greater appeal, taking into account the energy-related aspects as well. Our objective was to build in continuity with the existing “familiar” and well-functioning rooms, to create better conditions and a bright, calming context. 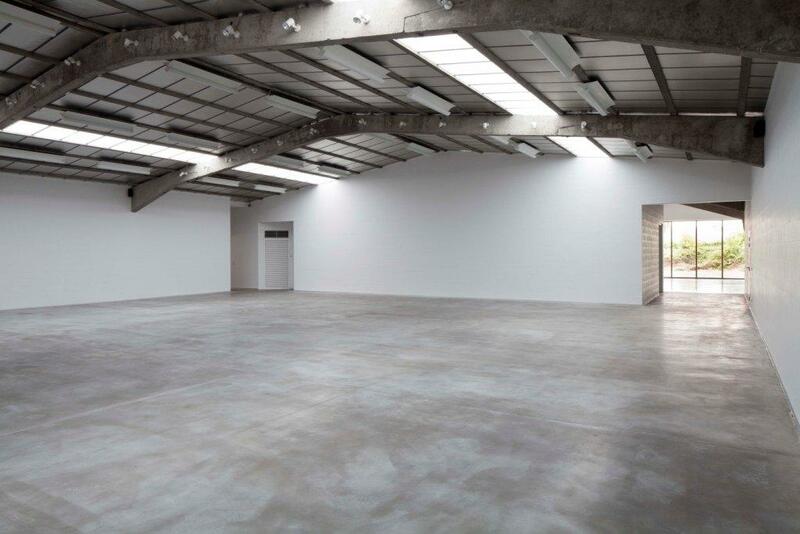 In addition, all the necessary facilities had to be updated. 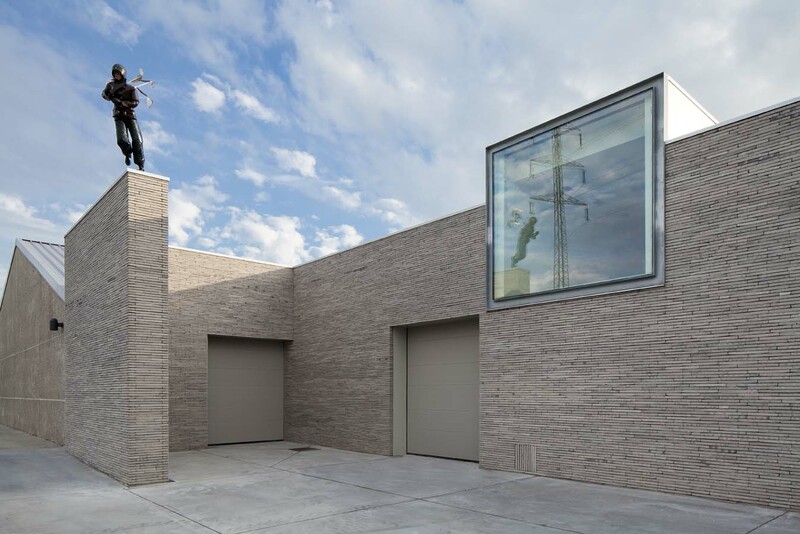 A pleasant reception area and an additional “outdoor room” at the level of the new entrance of the preserved industrial building provide greater flexibility for multiple activities and exhibits. The new entrance is to function as a first meeting place and attraction point. 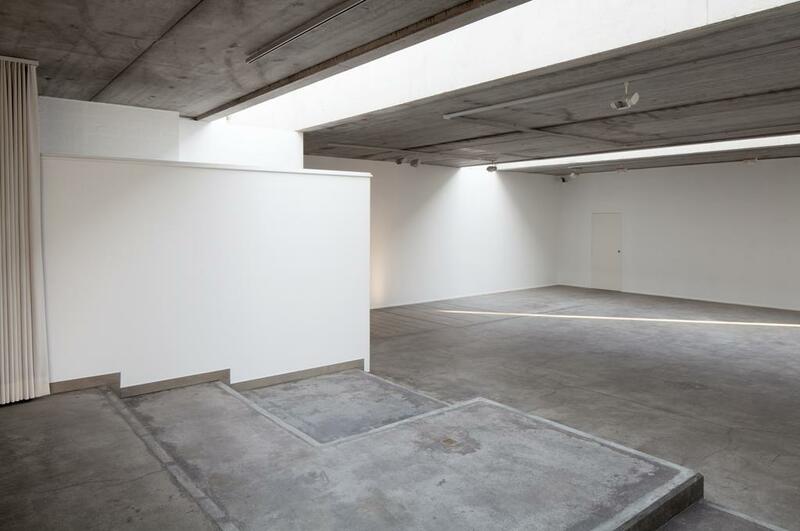 The placement of a folded “double wall“, and the reconditioning of the access road and parking, provide additional experience space in which artworks function as primary points of attraction, enhancing a more immediate recognisability. 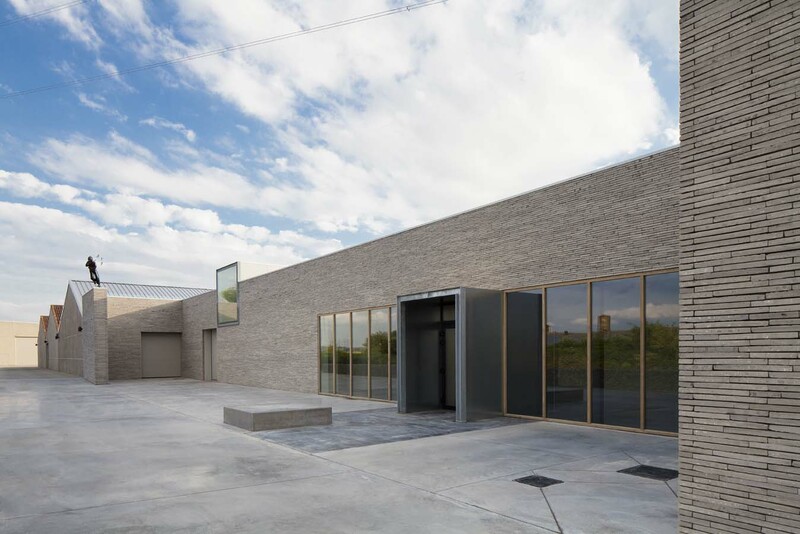 Nuanced grey materials were chosen, such as brick, galvanized steel, concrete and greying wooden window frames, in harmony with the colour of the front office and the pylon. In this way, a sober, clear and neutral visual continuity was achieved. 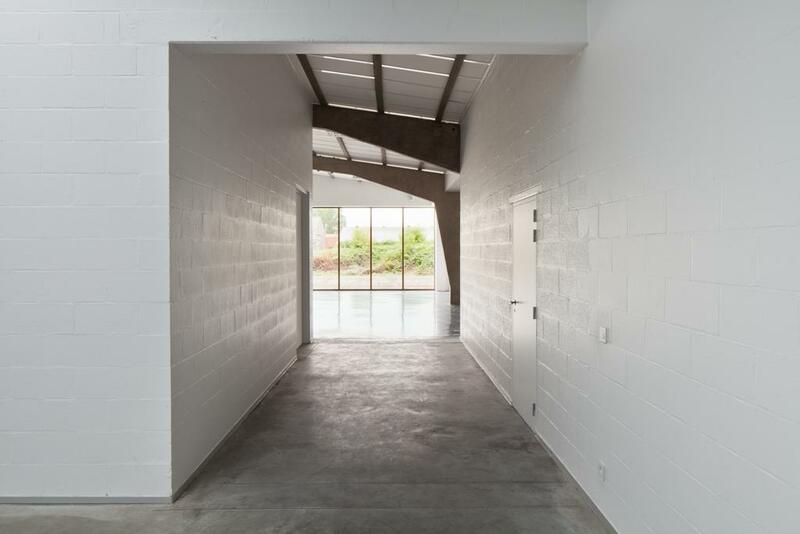 The expansion in its entirety, with the additional architectural interventions, creates more possibilities for the building to function as a context, without imposing itself.